Cannabis and marijuana use has been widely talked about for years now. More recently, the medical community has been arguing the strengths and weaknesses that this potent potential medicine has. Although smoking is never recommended, there are different ways to enjoy the healing benefits of this herb. Cannabis is among very few natural products that contain cannabinoids, a compound in the plant that helps fight autoimmune disorders, inflammation, and more. Marijuana Extract Oil: What’s It Good For? More research is the only way we’ll be able to find out how else cannabinoids can help. It must be said, however, that cannabis is not a cure, merely an alternative medicine used for relief. Not enough study has gone into the plant, mainly because it is illegal in most parts of the country. Surveys like the 2014 one conducted by the National Pain Foundation are proof that people want something other than conventional fibromyalgia drugs. In the online survey completed by 1,300 Americans taking drugs for fibromyalgia, 60% of patients reported that the effectiveness of said drugs “[do] not help at all.” So, of all three FDA-approved fibromyalgia drugs, drugs that generate billions of dollars every single year, none of them seemed to help. Natural alternative, anyone? You must see a doctor before getting or making medical marijuana or any of its derivatives, like Rick Simpson oil, an edible marijuana oil. There are two basic strains of cannabis: indica and sativa. Indica plants are higher in THC (tetrahydrocannabinols) and sativa plants are higher in CBD (cannabinols), both of which have different effects. THC gives a relaxed, calming feeling and high-THC strains are quoted as being better for nighttime use. CBD gives an energetic, uplifting, and cerebral feeling best suited for daytime use. There is a half hour video (below) that lays this method out in a more easy-to-follow manner, especially since you’ll have to essentially be cooking this. 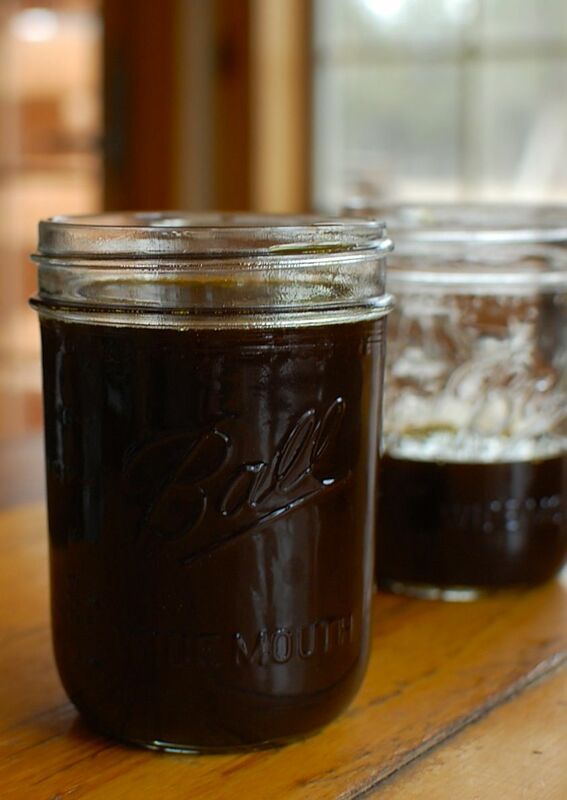 But this is the abbreviated version of how to make a small-batch of medical marijuana extract for your own personal use. 1-gallon solvent (high proof alcohol). Everclear is recommended. Ensure the alcohol you use is safe for human consumption. 2 Medium-sized mixing bowls – made of Pyrex glass or ceramic are best. Do not use plastic or metal. Straining device – muslin bag, grain-steeping bag, a clean stocking, and cheesecloth will all work to strain the solid plant material from the liquid containing the resin, oil, and cannabinoids. NOTE: This oil is very very potent. You should only need 1-2 drops a day. 1 “drop” is equivalent to a pinprick or what fits on the end of a toothpick. This can be mixed into foods, drinks, or ingested directly. A stovetop – open flame is more dangerous as the flame can ignite the solvent. Make sure your heat source is in a large, well-ventilated area. Fire extinguisher – make sure there’s one close-at-hand. Ventilation – excellent ventilation is needed, so open your windows and get a fan. Solvent fumes can catch fire, so turn on the fan above your stovetop. Making this cannabis extract typically has a smell associated with it, and if you want to minimize the smell you’ve got to ensure excellent ventilation. Place ground cannabis buds into a mixing bowl. Make sure there is an inch or two of space left at the top of the bowl. Add enough solvent/ alcohol to cover marijuana. Completely cover it by about an inch. Mix for about 3 minutes. The solvent dissolves the oils/resin from the cannabis material into the alcohol. So mix, mash, and make sure all the herb is being touched by the solvent. Strain the mixture into your other mixing bowl. Pour the mixture through your strainer (muslin bag, cheesecloth, etc…) and allow it to pour into your other container. The strained liquid contains the oils and resins you’re looking for. Get as much liquid from the strainer as possible. The liquid should be a deep dark green. The strained mixture should be a very dark liquid with a greenish tint. NOTE: It is recommended to put the cannabis material back into the first bowl and repeat steps 1, 2, and 3 to extract as much oil as possible. This will extract the remaining cannabinoids. The first solvent-wash extracts 70-80% of the cannabinoids, so only two washes are worth it. A third wash would extract very little, and besides, you’re probably almost out of solvent anyway. Pour your dark green liquid into the top pot of the double-boiler. Your bottom pot should already be filled with water. The purpose of using a double boiler is to create an extra layer of water between the heat and the top pot with the alcohol mixture. This makes everything safer, and allows you the boil off the alcohol slowly and evenly, without burning off any of the cannabinoids. If there’s not enough room don’t worry – the level of liquid drops over the next step, so just keep adding liquid until you’re out. Turn heat on high until the liquid starts to bubble, then turn off heat immediately. The heat will continue to evaporate the solvent until it’s all gone. Avoid breathing in the fumes that solvents produce, and make sure there are no open flames near the solvent. Make sure your windows are open and the fans are on. Once the top pan is bubbling, it usually takes about 15-25 minutes before you’re ready for the next step. It’s recommended that you check in every few minutes and mix everything with your silicon scraper. When you mix the liquid, it helps evaporate the alcohol. I recommend checking back every few minutes and mixing everything with your silicon scrapper. When you mix the liquid, it is helping the alcohol evaporate away. The bubbling will begin to slow down as the alcohol gets cooked off, but you should still see bubbling along the edges. Continue to bubble away the alcohol. If it has stopped bubbling but is still runny, you may need to turn the heat back on low to get it bubbling again. Keep the heat low so that you don’t boil away the potency of your extract. You are done when the liquid stops bubbling and become thick. You washed the oil off the plant with alcohol, removed the rest of the plant material, and evaporated all the alcohol. All you are left with is oil. Once it cools it will be thicker, like putty. Get your syringes or other storage space ready and work quickly. Syringes are best because they separate the oil and dispense the right amount – about a grain of rice. If you need a less potent dose, you can mix your new medicine with coconut or olive oil. This new mixture can also be used topically on your skin. Now you’ve got a very potent medicine. There are a ton of safety precautions to take before and during this procedure, all of which must be followed. You should certainly consult a doctor before taking this medicine, as well as understand that cannabis has not been known to cure any disease or condition in an appropriate scientific study. More research is required. Another precautionary note: I know I’ve said it before, but please ensure that you don’t over consume this oil. A lot of plant material has been boiled down and the oils/resin that you are left with is very potent, even though it doesn’t take up lots of space. I encourage you to read through this article, especially the safety precautions. Andrew is a creative copywriter who writes as much as he reads. A graduate from Algonquin College's Advertising & Marketing program in Ottawa, Ontario, he now calls Toronto home. A type-1 diabetic, he knows the importance of living and eating healthily. A life-long student, Andrew will never graduate the school of life.